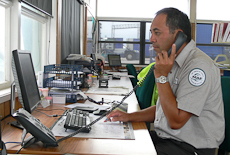 Quarantine officers control the entry of agricultural and horticultural produce, plants and animals into New Zealand. They identify and control biosecurity risks arriving at New Zealand's borders. Source: Ministry for Primary Industries, 2016. Chances of getting a job as a quarantine officer are average due to the relatively small size of the occupation, and a limited number of vacancies. Pay for quarantine officers varies depending on their skills and experience. Trainee quarantine officers earn $49,000 a year. In their first year after qualifying, they may earn up to $51,000. Quarantine officers with two to five years' experience can earn up to $56,000. Senior quarantine officers, who mentor and assess quarantine officers, can earn up to $61,000. Quarantine officers earn extra for shift work. ensure entry requirements are met by inspecting import documentation and/or the cargo. may travel between worksites, and are sometimes required to travel nationally or overseas on short-term projects. Alexandra Gudmundsson works as a quarantine officer at Auckland airport, where she's had to get used to doing shift work – not that she's complaining. "When I'm working during the day it's a pretty early start – between 4.30 and 5.30 in the morning, depending on my shift. Here at Auckland airport we work eleven-and-a-half-hour days, though the good thing is that you get plenty of leave – it would be such a shock for me going back to a Monday to Friday job." 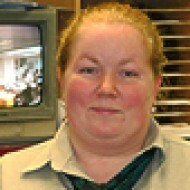 "There have been lots of weird and wonderful experiences working here. For example, some stuff that people from other cultures consider food. We had this passenger who had a tea canister full of fried ants! You added water, and it had a strainer on the top. Because they were all fried and crispy, they didn't pose any risk. Still, drinking ant juice is pretty interesting." For Alexandra, protecting New Zealand's biosecurity makes the job all the more rewarding. "New Zealand has such a unique environment and our economy is so dependent on our biosecurity that if something like foot-and-mouth disease came in, we'd be sunk. So when you've stopped something like live insects entering the country, that feels pretty good!" at least two years' experience in a related industry such as agriculture, horticulture or forestry. complete security and police checks. Useful subjects include English, biology, horticulture and agricultural studies. You need to be friendly, and you need to be someone who is passionate about quarantine and understand why we do it. Useful experience for quarantine officers includes work in the horticultural, agricultural or forestry industries. For quarantine officers working as dog handlers, experience with animal handling or veterinary nursing is also useful. Quarantine officers need to have a good level of health and fitness, as they spend long periods standing. They also need to have good eyesight (with or without corrective lenses) and they should have normal colour vision. According to the Ministry for Primary Industries (MPI), 450 people work as quarantine officers. Quarantine officers tend to stay in the job for a long time, so the number of vacancies that arise each year is limited. MPI recruits 15 to 20 new quarantine officers each year, to replace those who have left. All quarantine officers work for the Ministry for Primary Industries. Quarantine officers are expected to work at the international airports and sea ports in their region. Tohovaka, S, manager capability, Border Clearance Services, Ministry for Primary Industries, Careers New Zealand interview, May 2016. Quarantine officers may move into management or policy positions at the Ministry for Primary Industries. Some quarantine officers specialise as dog handlers, working with sniffer dogs to inspect passengers, baggage, mail and cargo. 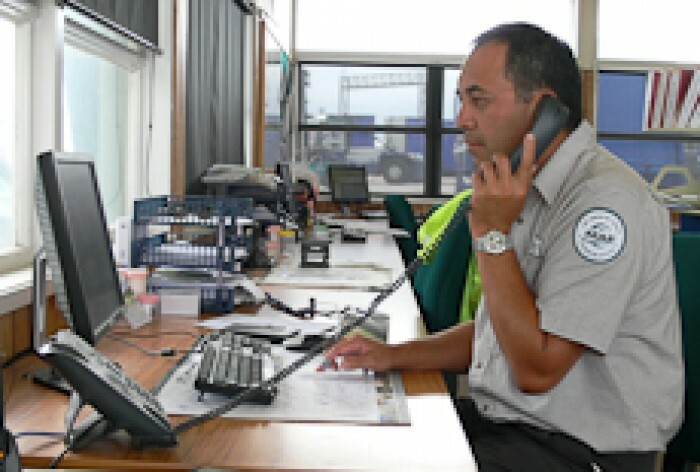 Customs officers control the entry and departure of goods, ships, planes and people to and from New Zealand. Immigration officers control the entry of people from other countries into New Zealand, assessing visa applications from people who wish to visit, study, work or reside in NZ.